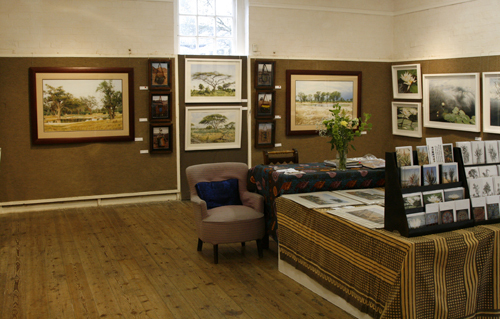 The National Arts Festival 2013 has come and gone and the good people of Grahamstown are now in the process of recovery! It was a great festival and though I am in a complete state of exhaustion, I am very happy that everything went off so well. 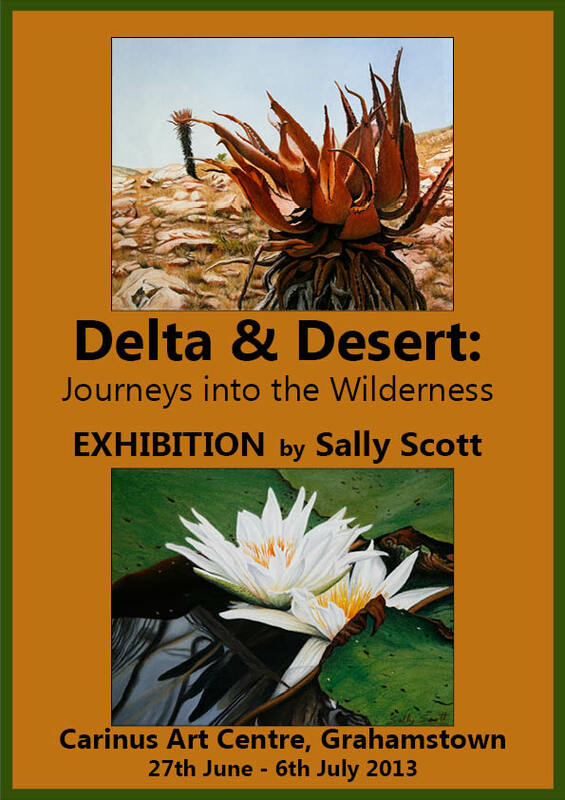 Hundreds of people came through my exhibition Delta & Desert: Journeys into the Wilderness, and I was overwhelmed by the positive feedback and support for my work, and thrilled to have sold as much as I did, given the tough economic climate. The rhino have definitely benefited from the enthusiastic response I received and I am about to deposit a healthy sum of money into the Chipembere Rhino Foundation, which was raised from the sale of Harry Owen’s poetry anthology, For Rhino in a Shrinking World, as well as from the sale of numerous cards and prints of the illustrations. So, thank you to everyone who helped to make the exhibition such a success, especially my family and friends who gave me so much support and helped in so many ways. I could never have done this without you. So that’s the festival done, now time to relax and plan where to from here. In my next post I will be chatting about my work In Memoriam and the presentation I gave at the LAWS Conference, that was held at Rhodes University during the National Arts Festival. Stay tuned, there’s lots more to come…! 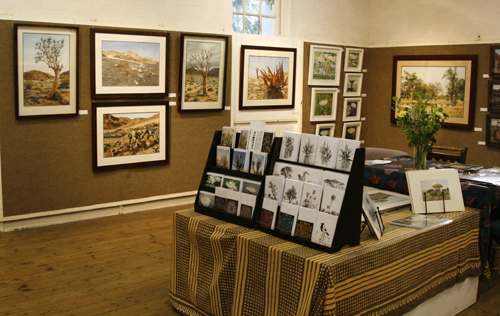 After months of hard work, my exhibition Delta & Desert: Journeys into the Wilderness has finally opened at the National Arts Festival in Grahamstown, and the response has been amazing! 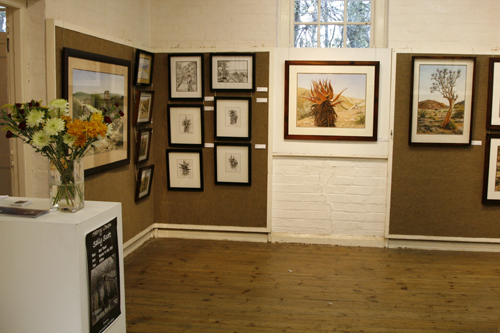 The exhibition is being held at the Carinus Art Centre until the 6th July 2013 and will be open daily from 9.00am – 5.00pm. 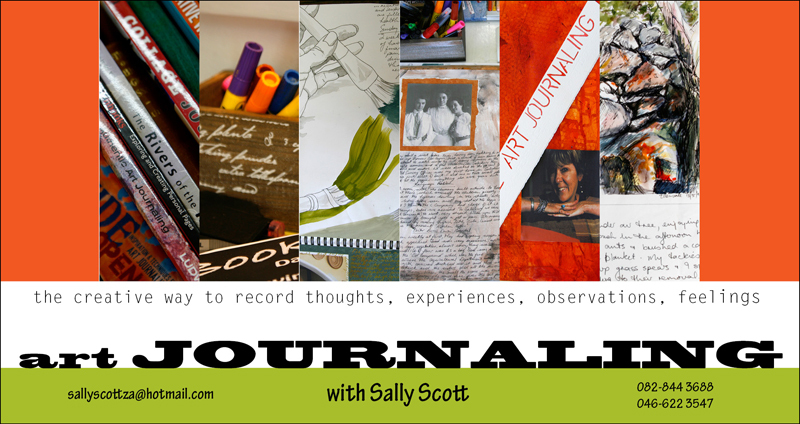 For those of you who will not be here during this period, I am bringing you the highlights of my show. Enjoy! 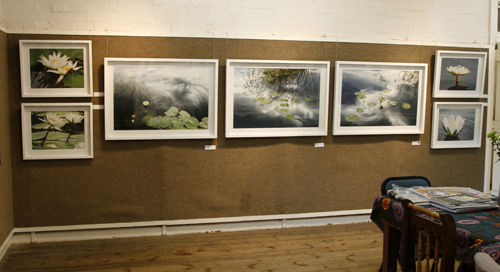 All the colour landscapes seen here are done in chalk pastel and the black and white images are ink. The travel bags are mixed media. All works are mounted and framed. 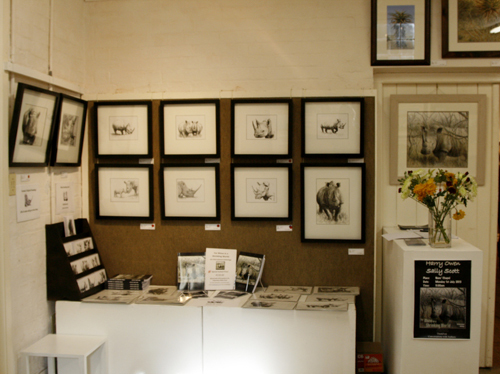 In addition to what you see here, all the original rhino drawings that I did to illustrate For Rhino in a Shrinking World are also on show and available for sale, as well as a limited edition print run on each of these works. Harry Owen and I will be speaking about the book on Monday 1st July at the Nun’s Chapel, St.Peter’s Campus, Grahamstown at 11am, as a part of the Authors in Conversation Series for Thinkfest!, which takes place during the National Arts Festival. Please join us if you can. I will bring you more on the exhibition in a short while, but in the meantime I must get back to taking care of the show! 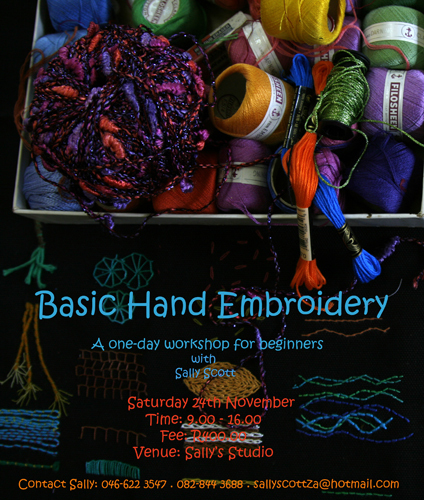 Please visit me if you are in the area, or contact me if you are interested in any of the work. Prices are available on request. 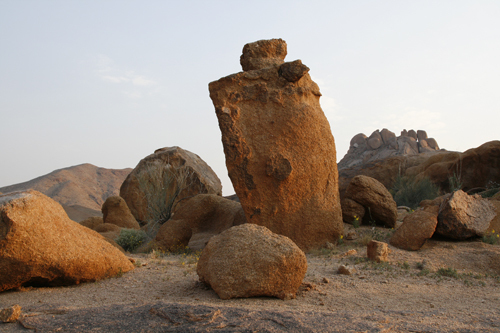 In 2002 I went with a group of geologists on an epic trip to Namibia. It was a journey like none other I had ever been on and a landscape like none other I had ever seen. 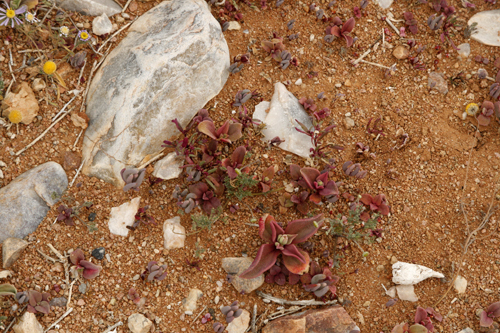 Vast, desolate, and harsh in it’s aridity and isolation, I found it haunting and mesmerizing in it’s beauty. 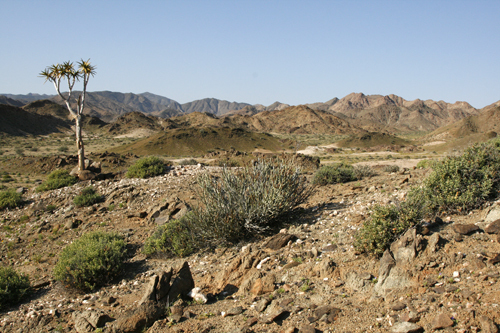 So when I received an invitation in 2011 to join my friend on another adventure to the Richtersveld, the northern most border of which adjoins southern Namibia, the temptation to go was irresistible. 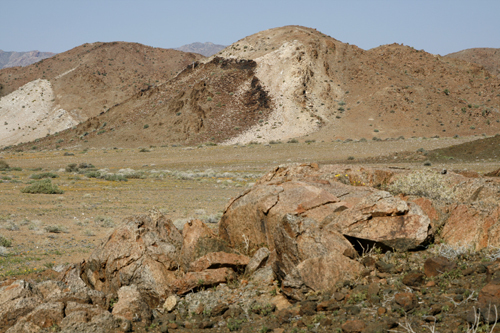 From stories I had heard of the Richtersveld, it sounded like a magnificent place, though in my mind it was shrouded with an element of danger due to it’s isolation and complete lack of amenities. Unlike the previous expedition, this time we traveled alone. After three days of driving from the E.Cape diagonally across South Africa, we finally arrived on the bleak and foggy West coast, turned right at Port Nolloth and drove northwards parallel to the coast, until we reached the Orange River, which we then followed inland for a short while until after cresting a hill, below us lay the dark and ominous mountain ranges of the Richtersveld National Park. As we approached the entry gate, I had the sensation of us entering the legendary Mordor from Tolkien’s Lord of the Rings. I felt a mixture of excitement and trepidation. 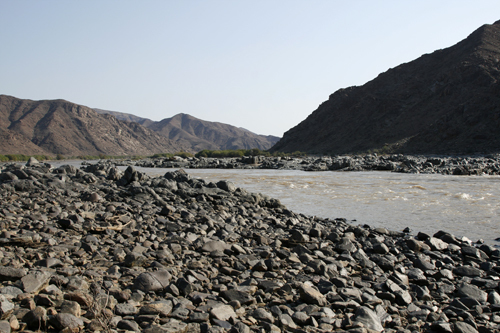 The first night was spent camping on the banks of the mighty Orange River. 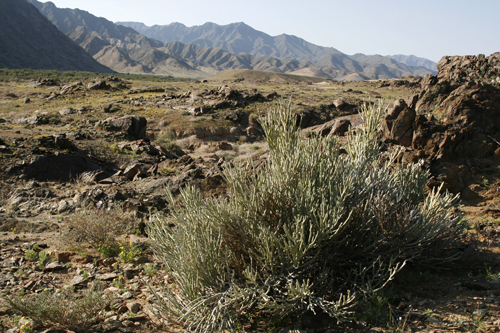 As we traveled deeper and deeper into the maze of arid mountain ranges, the sense of isolation and our vulnerability grew. 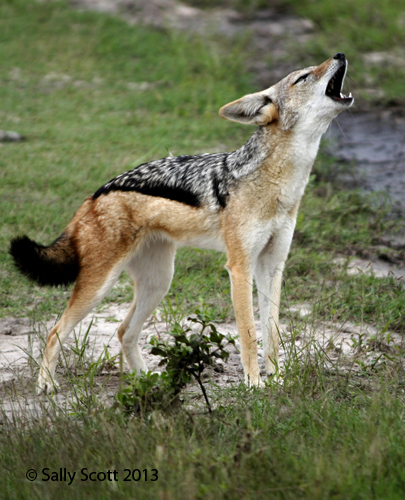 We had no cell or satellite phone contact and in the four days we were there, saw only one other group of travelers. Clearly we were on our own. After an adventurous day of driving over narrow, rocky tracks, we finally wound our way down to Tatasberg Wilderness rest camp on the banks of the Orange River, where we had the luxury of staying in a comfortable little cabin. 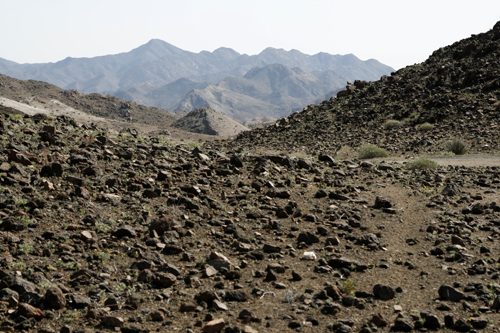 After a bit of a slow start, when we found ourselves stuck in the silt, we made our way through magnificent jagged mountain valleys that led us up to the famous Kokerboomkloof, the ultimate in desert isolation eeriness. I felt like we were the only people alive on this planet, and with the nearest water supply being over 40 kms away and no form of communication with the outside world, I shuddered at the thought of us having an emergency. 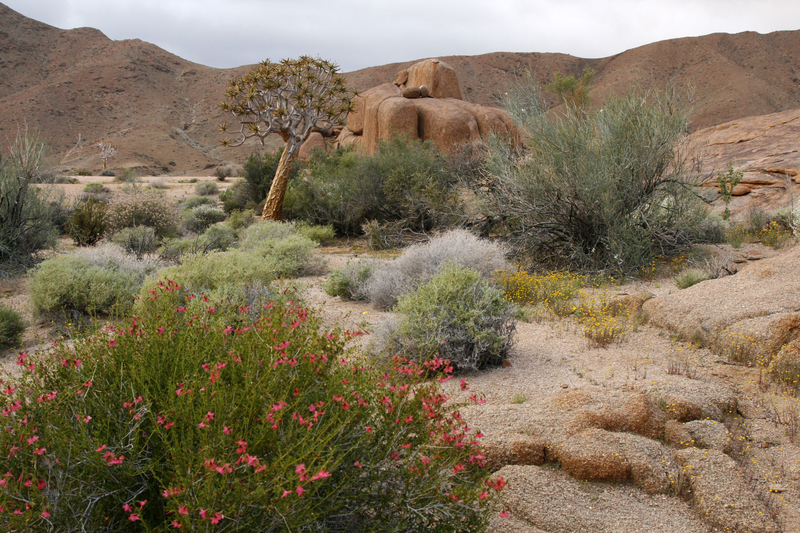 We were completely and utterly alone in the most splendid desert Eden. What a way to go. The Kokerboomkloof camp area is striking in it’s scenic beauty, with magnificent rust coloured, sculptural rock formations and trees that add to it’s primordial atmosphere. For me, this journey was a surreal encounter with the unknown. It challenged me on many levels, and left me knowing that there is still so much about myself and this world that I don’t know. 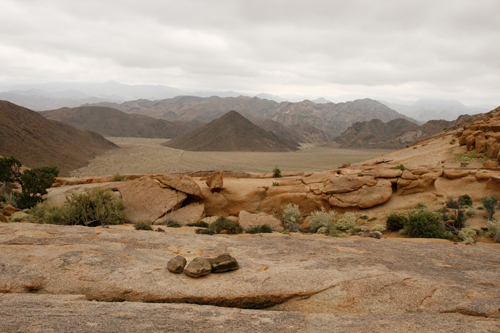 As with my trip through Namibia, it reminded me of our human fragility and our relative unimportance in the grand scheme of things, but it left me feeling so much stronger and richer for having had the experience of meeting it, if only for a short time. The desert requires a full exhibition of it’s own, in fact a lifetime of exhibitions if I really think about it, and still I would only scratch the tiniest surface, so, in my forthcoming exhibition Delta & Desert: Journeys into the Wilderness, I have very humbly attempted to express just a tiny fraction of what I saw. I believe that this is just the beginning, and I plan to continue adding to this body of work. With my upcoming exhibition, Delta & Desert: Journeys into the Wilderness only a few weeks away, I thought I’d take a break from the studio and bring you a little bit of background to the theme. 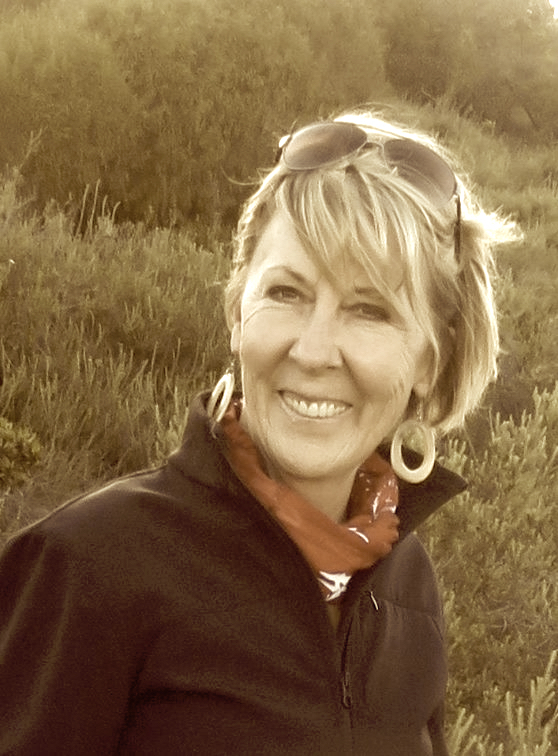 The wilderness is something that has always interested me, both on a literal and metaphorical level, and having been brought up in both Zimbabwe and Botswana, I have spent much of my life either living in or exploring some of the most beautiful wild places in Southern Africa. 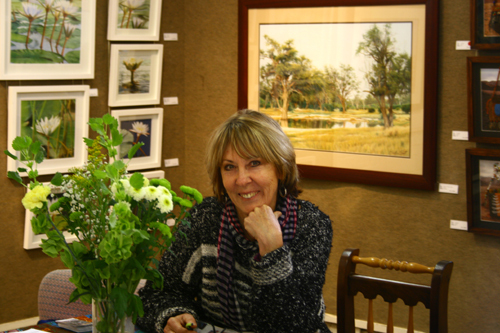 It is no surprise, therefore that the bush and all that it entails has been a major source of inspiration for much of my work. ‘Wilderness’ is a debatable term these days, and there are times when I wonder whether it actually still exists, despairing over this over populated, over developed world, where just the thought of something unexplored gives us license to bulldoze our way in, and exploit it. 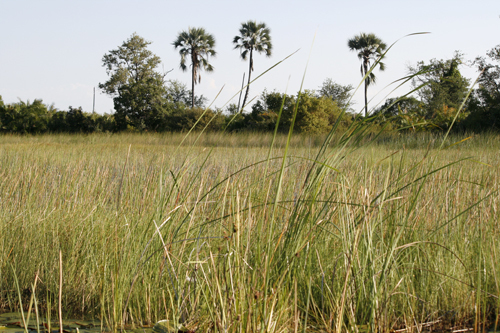 Although exploitation is rife is in Southern Africa, there are however, still places that one can go to feel a sense of the wild, and one of these places is the Okavango Delta in Botswana. 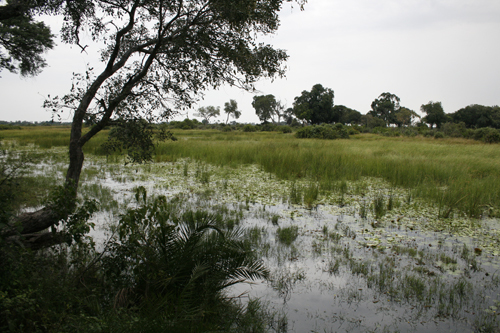 This vast inland delta is situated in the north western section of the country and is approximately 18,000 sq. km’s in size. 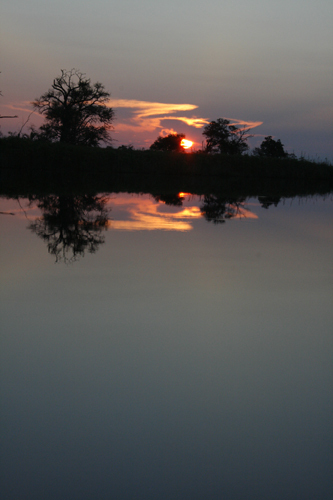 The Okavango River originates on the Benguela Plateau in S.E Angola and enters Botswana at Mohembo. 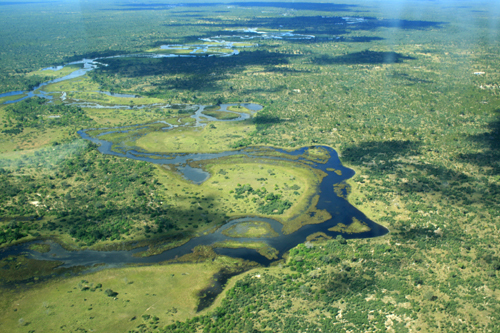 After a 500 metre drop, the land levels out in Botswana, which causes the main Okavango River to divide into a number of rivers, floodplains and smaller channels, forming the Okavango Delta system. 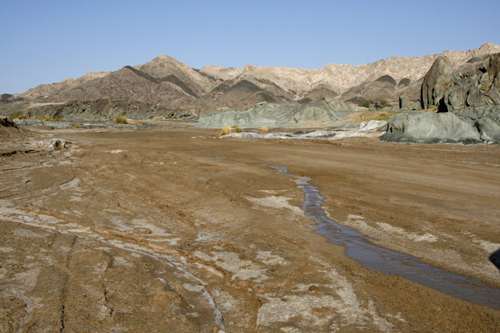 The resultant slow pace of the river allows for sedimentation and the establishment of the swampy vegetation. 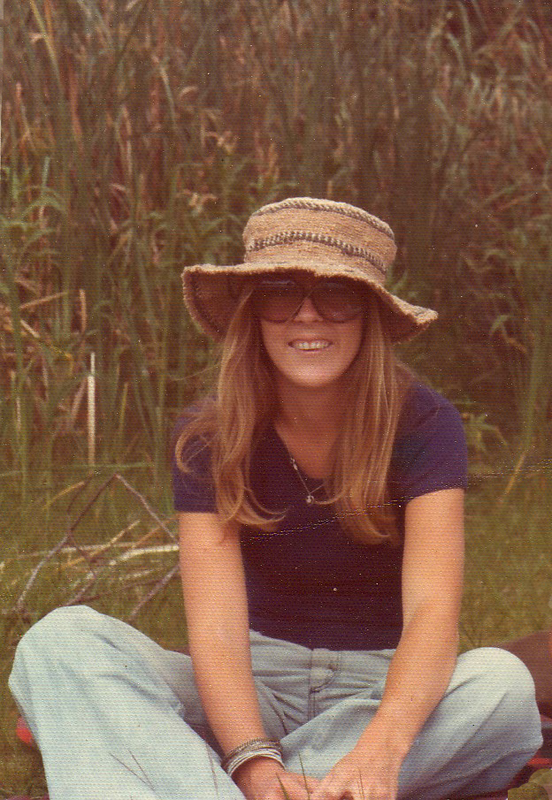 As teenagers, we used to fly in and out of the delta on a regular basis as my father was a pilot and he often had work up there. We were based in Francistown, which was a relatively short distance away, and in time I will write a fuller account of this period of my life. Suffice it to say that the memory of those trips has remained deep in my psyche, and has influenced much of what I do now. 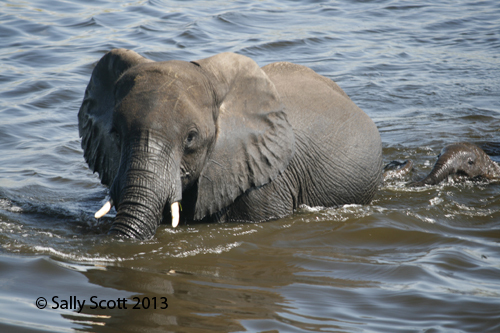 So my recent trip to Botswana was one of those rare opportunities to go and see for myself whether the playground of my youth was still as wild and untouched as I remember it. 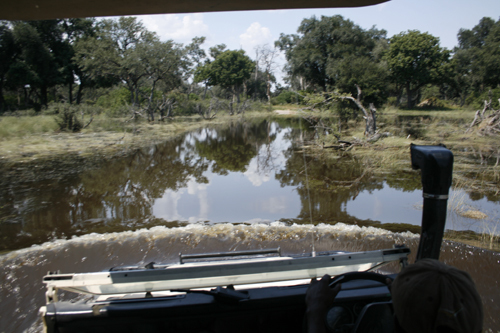 Although there were obviously changes, mainly the result of the mushrooming safari industry, overall I was not disappointed and was thrilled to be back in this unbelievable place. 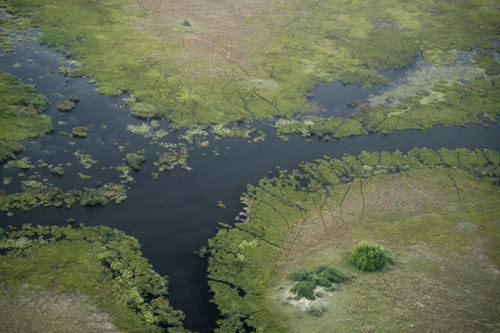 A flight over the Okavango is an exhilarating experience, to have one’s nose pressed against the plane window, as one scans the papyrus patchwork below. It is a vast and watery landscape that stretches as far as the eye can see. The river and all its tributaries form a dense maze of water and floating papyrus, that creates an ever changing, ever moving scene. 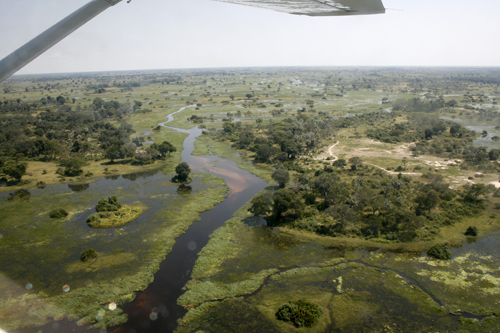 Most people fly into the delta by light aircraft and land at one of the many sand airstrips that have been built to accommodate the safari industry, and the drive from the airstrip to the camps can be a great opportunity to view game, large herds of which can be seen grazing quietly amongst the long grass. 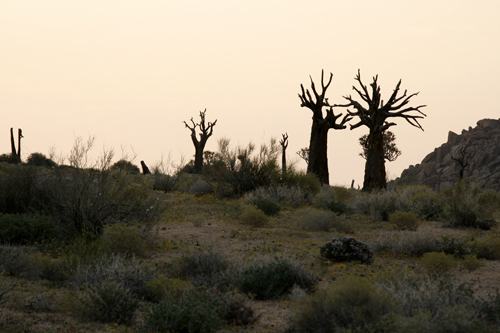 The trees that grow on the islands in the delta are magnificent and vary in species according to the area. 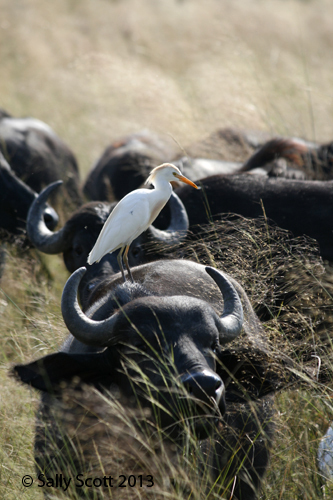 The Okavango is home to all of Africa’s big game and a multitude of smaller mammals, fish, insects, and birds, and to lie in bed at night, listening to the sounds of the animals, grunting and swishing their way through the water, it is truly Africa at its best. 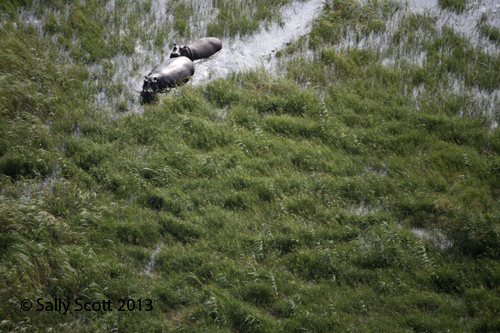 There is so much that one can attempt to say about the Okavango Delta, but words cannot really do justice to the experience of spending two weeks in this paradise, so in my exhibition, which is just the beginning of what I hope will become a much greater body of work, I have tried to bring the viewer close up to some of the things I saw, and to share just a whisper of the magnificent delta magic. 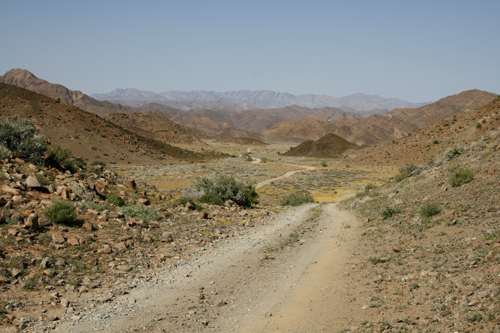 A few months after this trip, I had an opportunity to visit the Richtersveld, so in my next post, I will show some images of the desert.